Hair Colour Myths Busted! Say Yes to Colour!!! Have you been wanting to colour your hair for a while, but are scared to do so because of the multiple myths about hair damage due to hair colour that you hear from time to time? Well don't be scared :) I've been colouring my hair for the last 15 years, and nothing scares me from continuing to do so. The world will talk! You decide for yourself what you wanna do after I bust some of the myths on hair colour in this post. 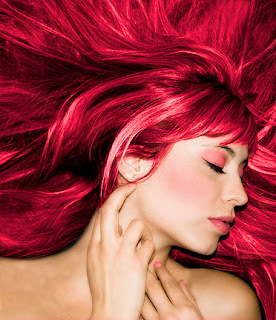 Myth 1: Colouring my hair will damage it, no matter what product I choose. False: If you are careful in choosing the hair colour by checking on its ingredients, you can save yourself this worry totally. Use ammonia free colours. Also keep in mind that the colours being developed now are formulated to be extremely gentle on the hair as compared to the past. Some even have special ingredients meant to condition your hair and so your hair looks even healthier and shinier than before. In case you are colouring at home, follow the instructions carefully so that you don't over-process your hair. Myth 2: Products made for coloured hair actually have no benefits. False: Well it's obvious that the colour in your hair won't stay forever, even if you use products for coloured hair but they surely do help in preventing the fading from UV rays and water and in maintaining the colour longer. Use a colour preserving shampoo and conditioner which seal the cuticle and lock in the colour along with moisturising the hair thus preventing dryness and frizziness. False: Hair colour only penetrates the outer surface of your hair and not your follicles. If the hair inside your follicle is grey, it stays grey within regardless of colour. So basically hair colouring helps to cover grey rather than cause it. False: In case you are wanting to get lots of highlights done or a fashion colour not available off the shelf, then yes, its best to go to a salon. But if you are planning an even colour all over, then you can get great results at home too with the numerous products available in the market. Either ways keep a check on the ingredients. True: Well why I say is true is not because the colour will enter your system if it touches your scalp or any of that crap, it's basically because of the inhalation of the strong chemical odour during colouring. Any sort of chemical exposure should be avoided especially in the first trimester. Hopefully I will have helped those of you who have been contemplating about this to get onto my boat i.e. of those who colour their hair without any fear :) According to me, hair colouring in today's world is totally stress free if care is taken. If you don't want to take the efforts to take the minimum care also required then please don't colour your hair! 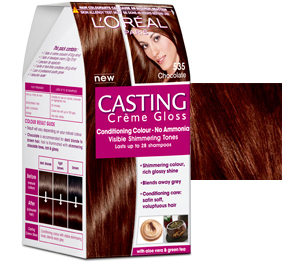 For me this time, I'm gonna be colouring my hair at home since I am planning an even colour all over and I am gonna be using the L’Oréal Paris Casting Crème Gloss. It is a no ammonia hair colourant that gives your hair rich, visible tones and a stunning glossy shine. Enriched with Royal Jelly, a naturally occurring substance known for its rare nutritive and rejuvenating quality, Casting Crème Gloss ensures that post colouring hair is left revitalized with a glossy shine. Its crème formula contains a special patented conditioning complex that helps protect the hair fibre inside and out for exceptionally soft voluptuous hair. It is easy to apply, takes just 20 minutes and comes in a do-it-yourself kit which saves unnecessary trips to the parlour. I'm looking forward to trying it out!! I've chosen the colour Chocolate for myself! What do you think about it? Giveaway from Aaliya on the Facebook page! Enter an exclusive giveaway only for readers of the Ri(t)ch Styles Facebook page! Isn't that a beautiful dress?! It can be yours! One of you can win this gorgeous Monique hi-lo dress from AALIYA Woman! Click here to enter the giveaway! :D Giveaway ends on 31st October 2012! So enter now! What does one do when you go to see a bridal show of your dream couturier at the Fashion Week? Well, obviously, put on your best shoes! 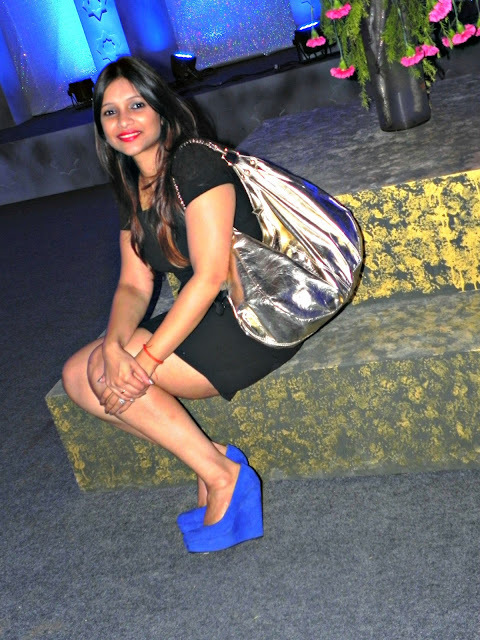 And for me on the day when I finally got to see Tarun Tahiliani's bridal collection for this year at the Aamby Valley India Bridal Fashion Week 2012, I was wearing my super gorgeous buy this year from Debenhams - my new Blue Suede High Wedges! 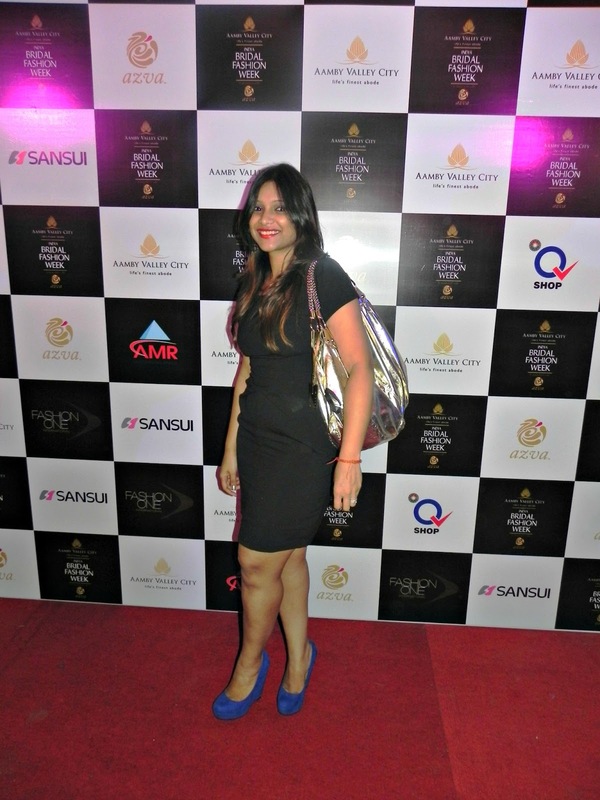 Dresses are predominantly what I shop for these days and are my first preference for all occasions. 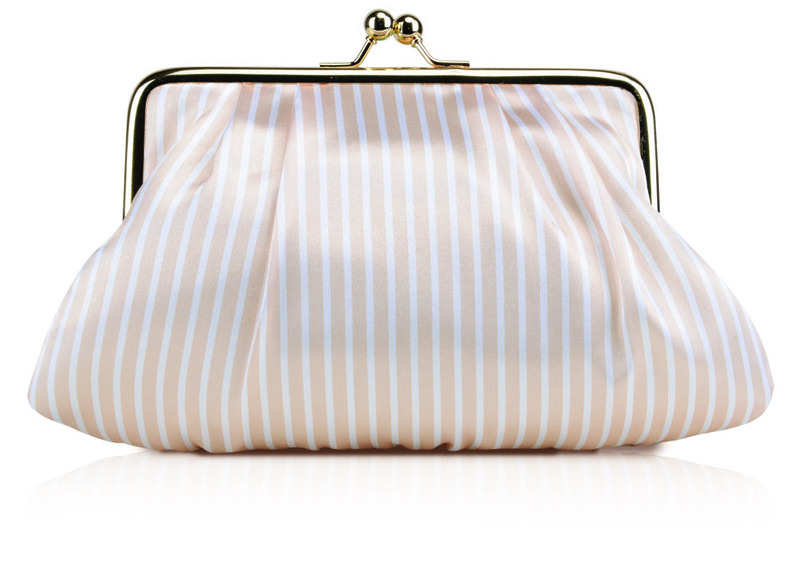 Shop InOnIt is an e-store from where I have 2 dresses on my wishlist. Over the weekend, I created two looks for each dress to take them from day to night as remixing my closet is something I love. Having a full time day job, I created a look for each dress to wear to work and then a look for each for a night out as I also socialize quite a bit. 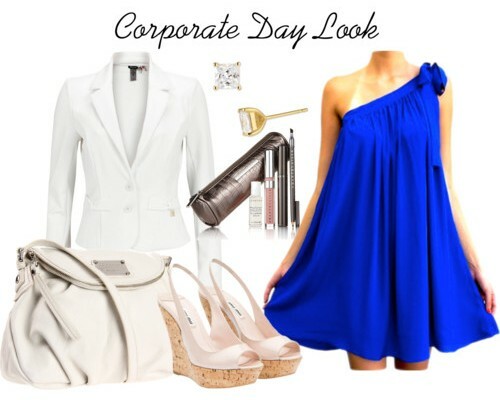 White and Blue is an evergreen combination and soothing for a day at work. Throw on a white blazer and a pair of wedge heels for comfort and keep the jewellery and make-up light. 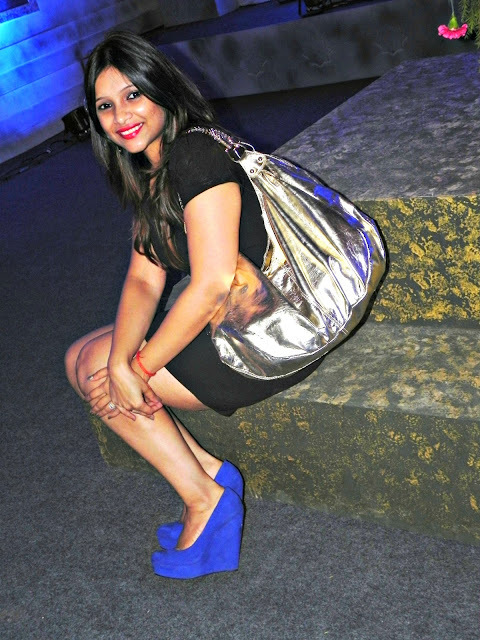 Colour-blocking is a rage these days and blue is one of the friendliest colours to play around with. 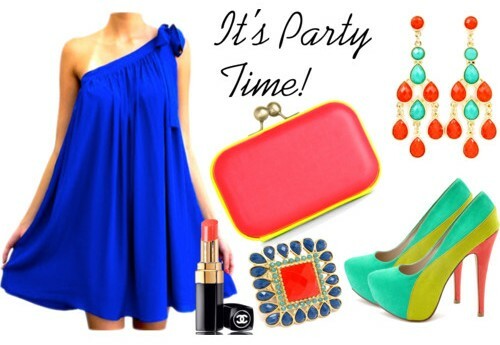 I’ve paired it with sea green, coral and yellow to add a colourful pop to the outfit. Have you ever tried wearing your dresses as skirts? Well it’s really simple like how I have done it here. Wear a black peplum top over your dress thereby transforming your dress into a skirt, and you have an outfit modest enough for work without attention being drawn to the eye-catching neckline. Wear not-so-high heels for keeping your feet from getting tired while you zip around at work. While black is a prominent colour in the dress, it’s not necessary that you go only with black for accessorising. Orange is a colour that corresponds well with metallic colours especially gold and that is what I have used to accentuate this dress. Do drop your suggestions on what I can pair this dress with in your comments below! L'occitane is a brand that has a history with me way before it launched in India. An ardent lover of natural ingredients in skincare products, I was introduced to L'occitane when my dad bought home some of the travel kits that were given out to him in business class on his international flights and then I started looking forward to them after every trip of his :) When the kits stopped, I started making my dad pick up products for me on his trips abroad. No 'To Buy' list ever had this brand missing! When L'occitane launched in India, Delhi was the city they chose to launch in and I was utterly disappointed. Eventually they did launch in Mumbai (whew!) and so, now I don't have to wait for my dad's trips abroad anymore :) In this post, I am gonna share with you the awesome L'occitane products that are a part of my everyday life and you will find in my bag all the time. Tip: This is specifically meant for dry skin and so don’t pick it up if you don’t have dry skin. Those who have dry skin, for best results use it day and night. 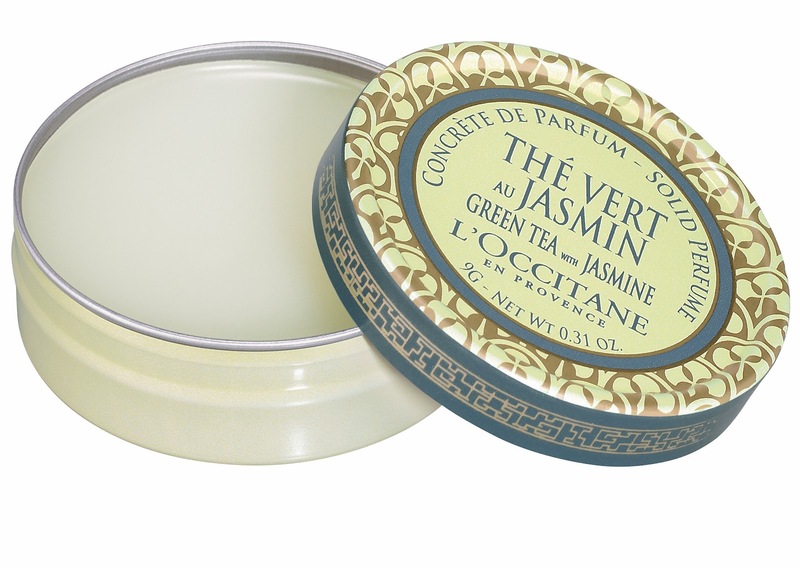 L'occitane is having special promotions in the month of October where it is giving out this clip pouch free. 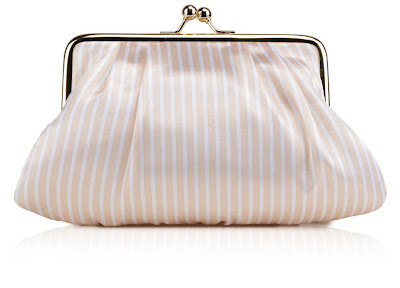 I Find it really cute and handy to carry all my bag essentials within my handbag. If anyone of you is a L'occitane freak like me, drop in your comments and let me know!